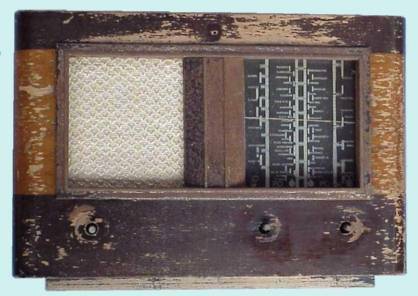 This radio, originating from 1946, was acquired at a radio market in Antwerp (Belgium). Tube line-up: ECH3, ECF1, CBL6 and CY2. I cleaned the bakelite chassis and replaced the paper capacitors as well as some burnt out resistors. During clean-up of the glass dial with water, I wiped off the fragile text on the back side of the glass. A kind French collector (thanks Maurice !) sent me the three original knobs, the two electrolytic capacitors, some resistors, the back panel as well as the dial glass. 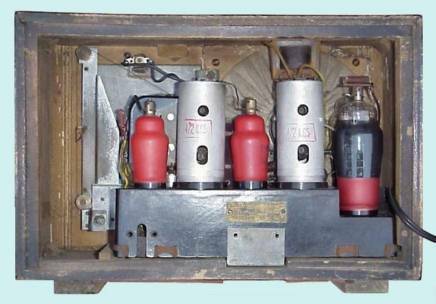 I placed new electrolytic capacitors in the carton type cylinders and replaced the resistors and dial glass. In the meantime I also found the missing logo and an acceptable mains cord. The radio was powered up and played ! However, some oscillation seemed to be present during tuning. 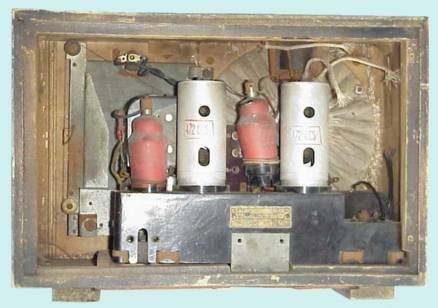 I suspected the ECF1 (IF amplifier and LF pre-amplifier), which was partly missing its shield coating. After having replaced the ECF1 the oscillation was gone ! The refurbishing of the cabinet was the last job to be done. Although I hate to remove the coating from radio cabinets, in this case I did not have much choice. 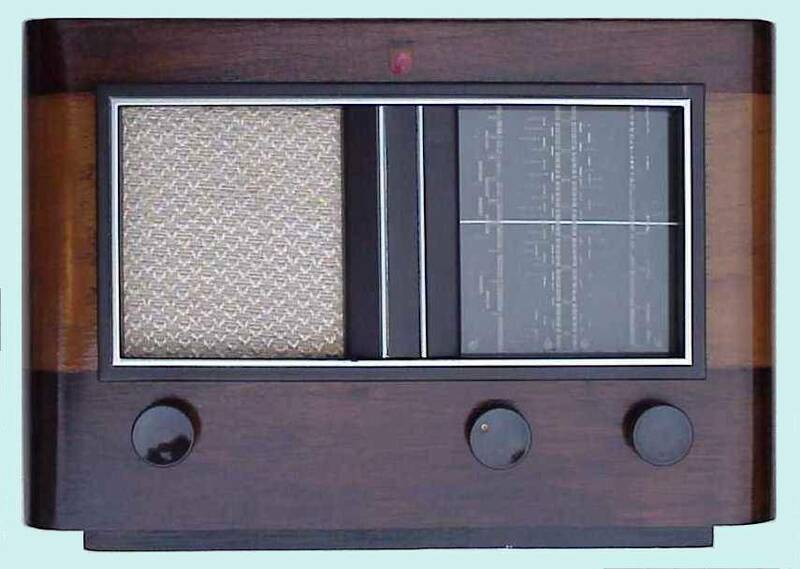 The coating was in a very bad shape and the frame enclosing the speaker grille and dial glass had lost its colours completely. The cabinet was given its two-coloured coating back and the frame was painted dark brown with a silver lining. 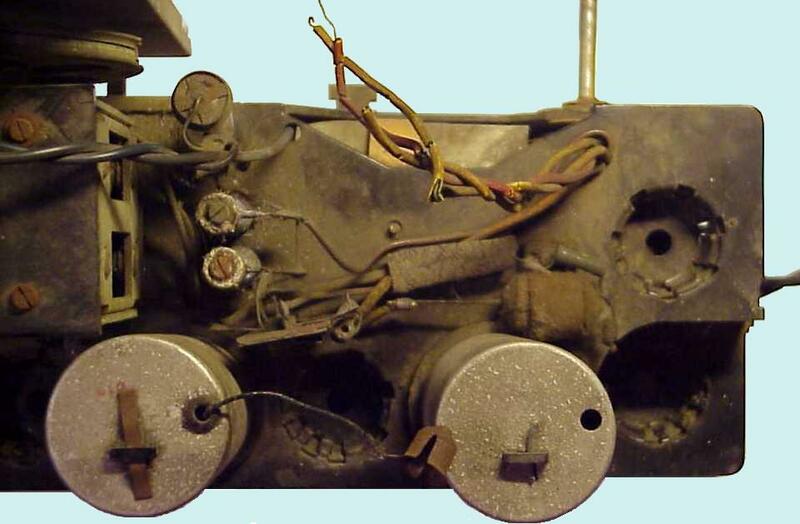 Note for owners of this radio: The actual wiring around the voltage selector of my radio is different from the official schematic. R4 is not connected to the mains but to the interconnection of R18, R19 and R22 (see schematic). This was also true for the radio owned by a Belgian collector. 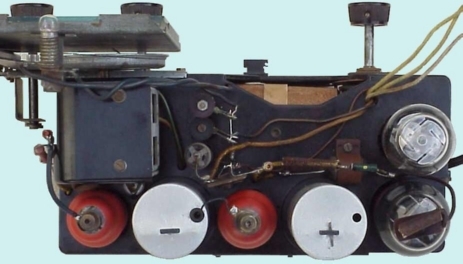 By the way, the deviation is not significantly affecting the operation of this radio.